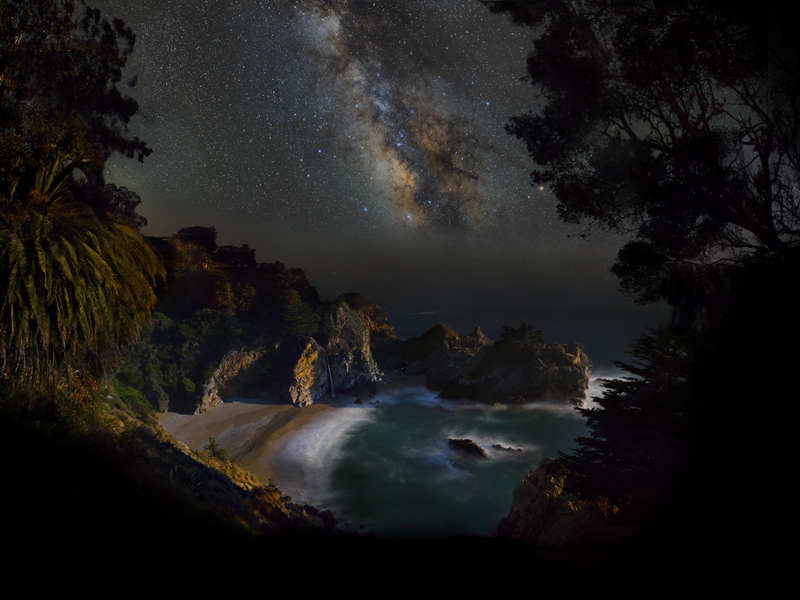 Here's a complete panorama of McWay Falls. It is composed of a series of images (it is also a mosaic) captured the early hours of Sunday May 11, 2014, before and after moonset. Sky and land features come from a different set of images, all captured the same night, same location. Only the land is composed of 25 different images .The original image is over 40,000 pixels wide.